Derick decides to torcher us with more acapella singing "For the first time in forever!" 13 reviews for EntreProgrammers, up 2 reviews since the last. John expresses his dislike with Apple's review process, and their denying the problems with the 2012 Macbook Pro screen. Own It and Fix It! So what is going on in the world of the EntreProgrammers? Derick is swapped with preparing a talk and work on batch processes scheduling with new developed software. Healthy Diet? Eating One Meal A Day? John describes his gorging on a foot and a half long sub and cheesecake. As, Derick tries not to think of the “Brisket Nachos” from the previous night. So in between work, family and kids, and paying “Uncle Sam” these programmers struggle with grazing in the green pastures. Grass Fed Programmers? Derick talks about his Drip Campaign for launching the Express.js screen cast series. This is going to be a valuable series, showing how to do things right with Express.js; routes, middleware, and cleaning up code. Watch out, 4 pro tips by Derick! Free videos and working and are gaining followers! Praise to guess Jake from episode 51, his advice is help Derick’s YouTube videos. John spoke with Dan Martell, who shares advice on how distinct his production and marketing strategies impact his product. Sponsors, Telerik and Drip, Merci Beaucoup! Josh raves about the new features Drip offers. Lead Scoring rocks! John trims his list 1500 and improves his opening rates. John shares the success with his course on How To Market Yourself, the success is attributed to his email course. John mentions he has growth of 30%, currently has 3100 subscribers on YouTube. He can seem drop some things due to the exciting growth of projects. Josh is updating his Google AdWords site, cleaning out the cobwebs. He is gearing up to do a webinar with 200 signups, next week. Johns suggest that Josh ways to scale up, his advertisements and increase the stream, using Reddit. Josh is apart of a copyright project for dog performance enhancement. This is a much see section a josh explains is challenge. Josh talks about his projects with Sublime Text. John mentions he is reading Millionaire Fastlane. He expresses his thoughts on the takeaway of the book. “Become the franchise owner” Good reads! John reaches Pat Flynn’s executive assistant. A possible future interview, maybe? As John searches for deep meaning in life, he suggests signing off with a thought for the day. 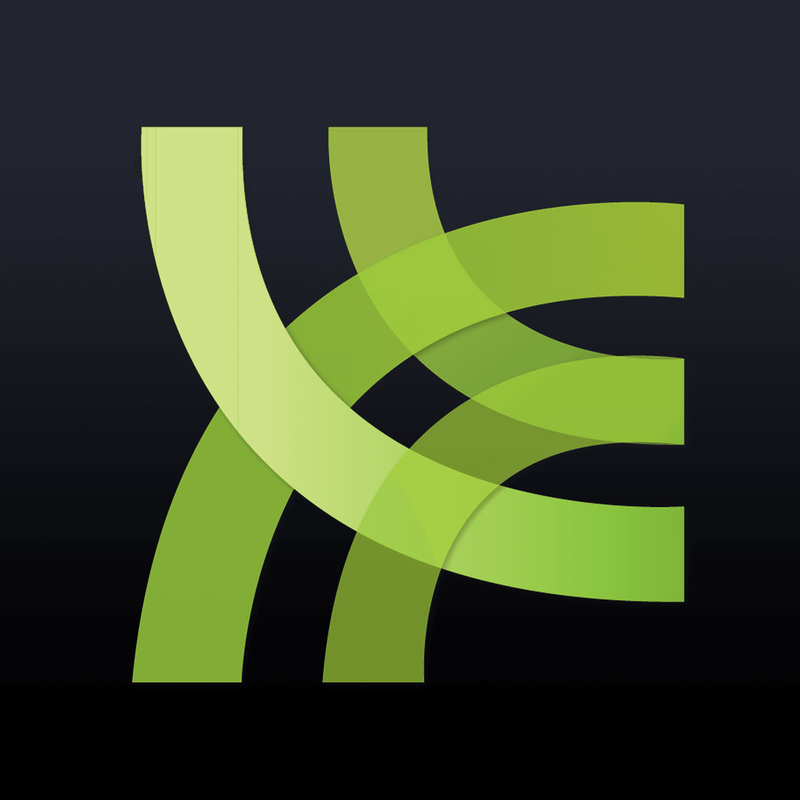 The EntreProgrammers Episode 52 "How 'Merica Is This"
Derick sings "Let It Go"
The Enterprogrammers have a discussion of the Dropbox integration with SignalLeaf. Derrick mentions the excellent integration of Dropbox with SignalLeaf. Great new feature is the ID tag recognition. Things to fix or update, is the date feature. Derick talks about how podcasters are eager to make the exciting switch to have excess to the time saving features. Derrick explains the integration features and how-to-do list for dates, publishing...etc. John speaks highly of audio books Traction by Justin Mares and Gabriel Weinbreg, and Money, Master the Game by Tony Robbins. Money, Master the Game is a game changer for new comers and the tried & true entrepreneurs. John talks about how successful entrepreneurs invest in seminars despite the extreme cost. Charles shares the positive feed back with JS Remote Comp. Charles also discovered new ideas for conferences in future. The Team has more discussion about Ruby and design features. Charles continues on about his consulting business, and what he thinks is helping the business to pickup. John talks about the 5 soft kills every software engineer should know. John give emphasis on the delivering great of the presentations and how it is very important to be captivating. John was able to sale products or courses and get sign-ups and acquire more email addresses. Derick will be speaking at Praire Dev Con at Manitoba in March and giving the keynote Space City JS in Houston, TX. He will be giving insight on the entrepreneurial and developmental aspects as a developer. John interviewing Dan Martell, a Canadian Entrepreneur, CEO/Founder of Clarity, Angel Investor. Also, an speak with, Ryan Holiday, an author and marketer. John will possibly use his help with marketing John's book, Soft Skills. John shares his thoughts on using "Leverage" to his advantage for the advertisement of his book. John shares his thoughts and plan to implement some outsource some marketing, editing, planning and taking over weekly task for John's share of work. The Mastermind team contributes to the idea of their ideal workhorse team member to take over small tasks. John jokingly admits the thoughts of getting a “real job.” Not! John gives the key points about gaining or buying your freedom. This section has great information on books and individuals who prescribe actions and practices to achieve this lifestyle. Josh and the team discussed the value of attending conferences. How the smallest ideas plant a seed and lead to triumph! Josh gives information of his February 25th Webinar with book author. John asks, “What do you think about using Slack?” The team discusses which type of chat service would be most useful. P2, Slack. 10 Slots for five hundred dollars, possibly? Of course, one of the great ways to learn and make new friends to scam on, is at a conference. Chuck has 3 more days left for his online conference which is turning out to be a total success: February 10th, 11th, and 12th. The conference is from 8 p.m. to 10 p.m. on each of these 3 days. John is one of the speakers; you can hear him on the 12th. There’s a lot to putting on a good conference and if you want some super insider tips…that’s right, Chuck gives them to you in this episode. The weak in review, Chuck wasn’t sure whether to offer money to the speakers. You’ll find that when approaching potential speakers for your conference, keep money out-of the equation. You can get the details at 1:20:00 in this episode. Jake requests that The EntreProgrammers, at some point in their Mastermind session, address people who are just starting-out in the programming arena which will double in the next year. 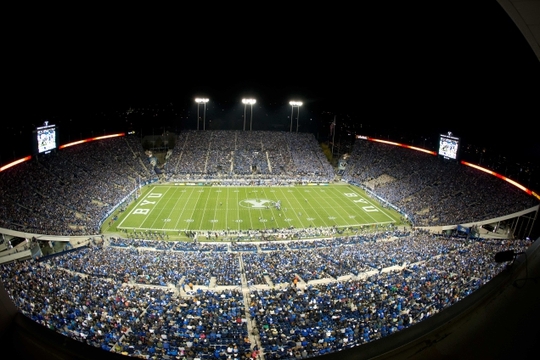 In a comment about the show, Jake recommended to The EntreProgrammers to show a picture of their listeners; for example, Jake shows Lavell Edwards Stadium which holds about 65,000 people. Jake gets about 65,000 viewers on YouTube. Jake is also a designer in 3D modeling and landscape and interior design. Plus, with his wife involved, they participate in Foster Care. Jake talks about a prior business he created, called, Fix A Phone, which he later sold and then started http://www.wildlandscaping.com/. Do a story on potential client. Did Jake get an education? He’s a writer, too. Jake was having a hard time seeing a certain CEO; so, he called and made arrangements to interview this CEO and do his story. Another way to get in touch with the hard to find person is to buy their product and immediately email them right afterwards – quick hook-up. Jake gives some fascinating insight to YouTube formats @ 30:32 into this episode. Kick-starter campaign -- Charles is developing marketing strategies to beginners as well as intermediates and looks for solid ideas to create this approach without discouraging his listeners. Based on his experience, John cautions Charles regarding a focus on intermediate programmers; programmers are expected to double in number in the next year; they will all be beginners. Jake brings-up a rather fascinating point: no one is teaching programmers how to be programmers so they can get a job. What? John suggests that teachers be replaced and students sent down a funnel to get their education K – 12. The EntreProgrammers Episode 50 Sponsors! Nice! Nice! You are the fly on the wall. Get comfy because you’re not going anywhere. This fiercely heated debate has captured you in the EntreProgrammers arena. Well, we screwed-up again – thinking to divide each episode into 2 parts, really – but you unscrewed our twisted minds and so we fixed it; episodes of The EntreProgrammers Podcast will not be divided into 2 parts beginning with Episode 50 Sponsors! Nice! Nice! Once again, The EntreProgrammers saved by you. All EntreProgrammers’ minds - twisted at birth – do greatly appreciate your guiding comments. Otherwise, how would we show you to be the greatest of spammer-scammers if we couldn’t spamm-scamm your ideas (to make them look like ours)? Don’t answer that. Quick, what’s next? …because there is no such thing as failure. It simply does not exist. A Portland, OR radio producer once advised a promising radio student to get radio gigs in small markets and “make a lot of mistakes.” Say what? Mistakes are merely golden nuggets of knowledge used to grow the human experience, sometimes necessary to dig a little deeper to find them. So it was for the radio personality, one mistake after another, the golden journey of knowledge. A good entrepreneur does not brag of knowledge wealth - be it, give it. Appreciate the positive energy in others and they will in return appreciate the positive energy in you. Then, do a spammer-scammer digital marketing strategy like The EntreProgrammers do and sell ‘em all your stuff – “teach me how to program my friends with code tutorial.” Nice! Nice! Your entrepreneurial financing is critical, of course; the more known about the subject, the better and The EntreProgrammers show you the way in this episode. The EntreGenius tackled the Derick money crisis, quite recently; in 3 weeks Derick went from $25,000 in debt to just under $5,000 in debt. You’ll hear the details on how he did it mid-way through this episode. However, the Derick stress level in not declining – to accomplish this, more is to be done as his awareness does fortunately guide The EntreProgrammer down the path of resolution. Derick continues to explain that his journey to debt freedom is not quite over. Good money management eliminates the potential for experiencing extreme financial stress. A stress that is so powerful, it can literally ruin your entire life. Get it under control. Chuck suddenly takes center stage attempting to start another argument when asking Josh, “So, Josh, what’s your next product?” This leads The EntreProgrammers into a debate about which is better to offer: the product or the consulting. Many wrestle with this issue, now. The 4 toss this, sometimes agonizing concern, around to make sense of it all. And, apparently, not all are in agreement – independent entrepreneurial spammer scammers. Is this you? So, what do you think it should be: product or consulting? Jump on in; leave a comment. The EntreProgrammers must know your take on this subject. If now confronted with this issue, you most definitely want to hear this debate in depth. Where and how should you invest your money? Where and how should you invest your time? We are talking huge lifestyle issues and developments, here. Join in. Grow yourself. It appears that these 4 bare it all just so you can make your life a little better.